Amazon is selling Usha Maxx Air 400mm Wall Fan (Blue) Rs 1649 which is worth for Rs 2100 at lowest price online. You can follow the below steps to buy this product at their deal price. 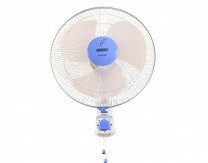 How to buy Usha Maxx Air 400mm Wall Fan (Blue)?